This weeks read was provided to me for free in exchange for an honest review. This is an unusual memoir to say the least. The first half switches back and forth between Alex (written in first person) and Yael (written in third person). Alex is recounting his tale of having been imprisoned in the Nazi concentration camp of Birkenau. Alex is deeply troubled about his time spent in the camp and the things he had to do to survive. His memories are painful and he feels much guilt about some of the things he had to do to survive, mainly working in the crematorium leading down the weary and frightened Jews to their deaths, then collecting the dead bodies and feeding them into the fires. Yael is plagued with intrusive thoughts about a time in which she could not possibly have experienced. Memories of being held in a concentration camp, filled with fear and pain. 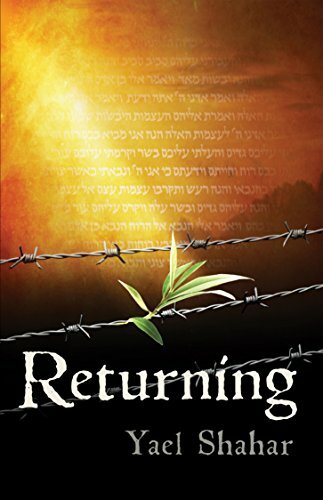 Alex begins correspondence with a rabbi in order to sort through his feelings and emotions surrounding his time at Birkenau and submit to a final judgement on his actions within the camp. He is wracked with guilt and knows that while it will be hard, it is the only way to achieve peace in his soul. This emotional memoir really hooked me for the beginning half. The journey back in time as Alex relives his time at a German concentration camp is heartbreaking. It was descriptive and vivid and I found myself needing breaks in between especially disturbing passages, it was a lot to digest. I was really not as invested in the story of Yael and her journey of self discovery, and when the two characters story lines came together it was shocking and not anything remotely close to what I had been anticipating. The second half of the book dragged quite a bit to me; it was very repetitive and clinical with reading of sacred texts and discussing at length and in multitude, Alexs actions in the concentration camp. Overall it was a very different sort of memoir (no spoilers but trust me on this one) one that I really am not sure was my cup of tea. Had it been wrapped up shortly after that halfway point twist, I think it would have been a much more enjoyable read.